To make sure your dog is healthy and going to get through the winter without any problems, you want to start off the season with a winter check up. Bring your dog to the vet to make sure he or she has all their regular shots and make sure they don’t have any underlying illnesses. Cold weather can worsen an illness that a dog may have if it is not treated properly. Dogs can have winter depression, much like humans do. Many times dogs can become sad or introverted in the winter simply because they are not getting enough exercise! When the cold weather comes in, many times dog owners don’t take their dogs out for walks, play time, or to the parks as much as they would during the warm months. This lack of exercise can cause your dog to become depressed. Many dogs were bred to run free and when they are suppressed of this, it can really hit them hard. Although some dogs may become sad, other dogs may become rambunctious and troublesome if they are not exercised properly during the winter. All of their energy may build up into negative actions, such as chewing on shoes, tearing apart the furniture, or going to the bathroom in the house. Dogs can get frostbite in the winter, especially on their feet, tips of their tails, and on the tips of their ears. If your dog starts getting really hot, they may have frost bite. Their bodies will try to release heat to the areas that are frost bitten, which raises the temperature of their entire body. Check the skin of the areas that are most likely to get frost bitten. If the skin is really pink or red, bring your dog to the Vet so they can get treated immediately. The areas that tend to get frost bitten are body parts that get the least amount of blood flow because they are the furthest away from the center of the body where the heart is. This is similar to human’s hands and feet, which can become cold and numb when exposed to cold temperatures. The heart is the main “pump” station of the body, which intakes and releases blood. The heart pumps blood to the rest of the body, but because the tail, feet, and ears are the furthest away from the core of the body, blood flow isn’t as abundant there as it is near the lungs and stomach. Many owners keep dog clothes sweaters and coats on their dogs to help keep them insulated. Brushing your dog in the winter is important to make sure your dog’s fur doesn’t get matted. When your dog’s fur is matted you will see clumps of overlapping, tangled, tight-woven hair in your dog’s coat. Typically matting occurs in your dog’s undercoat, which is the hair closest to the skin. Matting can prevent the dog from being able to regulate their body temperature. If they aren’t able to regulate their body temperature during the cold months your dog could suffer from hypothermia. Dogs that don’t do well in cold temperatures are typically small and have little hair to keep them warm, which makes them more likely to suffer from hypothermia. Also, dogs that may have gotten wet in the cold weather are also extremely susceptible to hypothermia because their fur and bodies are not able to easily do their jobs to regulate body temperature. Both hypothermia and frostbite can be treated if taken care of properly. If you think your dog could be suffering from hypothermia or frostbite you should get your dog immediate veterinary attention because hypothermia and frostbite can cause long term damage. 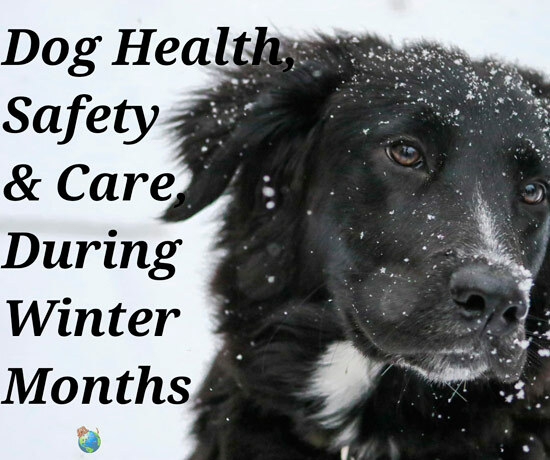 It’s fairly easy to make sure your dog stays safe by maintenance during the winter months. Just keep a watchful eye on your furry friend and use common sense. Dogs have many similarities to humans when it comes to being safe. Make sure your dog isn’t outside for extended periods, make sure he or she stays dry, and groom your dog regularly as you would yourself!